WObviously AVI is a very popular video format and used by millions of people to enjoy their daily life videos. This format is compatible with windows and Android mobile devices as well which are most popular operating system today. AVI is a reputed and high quality video format supported by many free media players. Sometimes may you have videos which are there from your old mobile in 3GP format and you are facing problem in playing them on your windows or Android OS. So if you are one of those people then you can learn about how to convert 3GP to AVI on this webpage today. 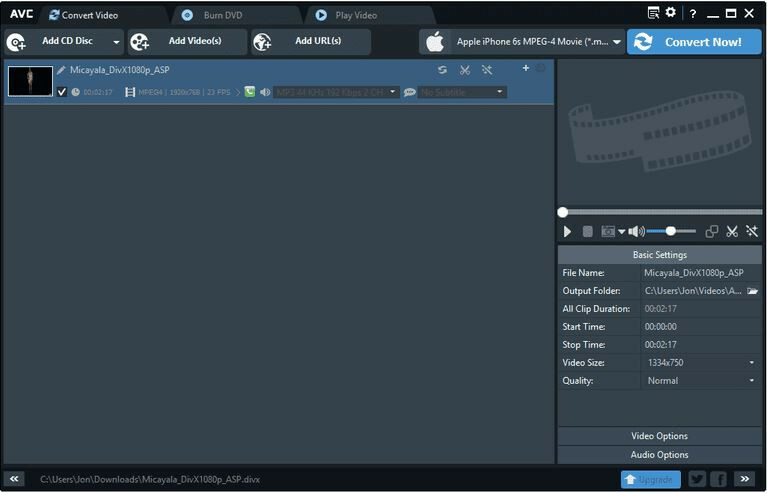 KeepVid Video Converter is a powerful desktop video converter application for your windows and Mac OS. This application lets allows you to convert the videos offline without using internet on your desktop directly. This program helped millions of people in converting their files from one format to another to solve out the playback issues. It has capability of converting the files in many formats and deliver you perfect output in high quality videos with the original sound. 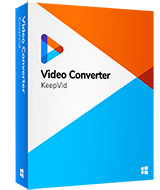 • KeepVid Video Converter is a fastest video converter program that converts your videos at 30x faster speed in more than 1000+ formats. • You can now download the videos from any online video site using this converter program for free without any website restrictions. • There is a built in video editing tool available which enables you to edit the videos. • You can playback any format video in the program interface itself. Step 1. Start KeepVid Video Converter and add 3GP file from your computer. Step 2. Select AVI as an output, and click the Convert button to start converting 3GP to AVI. After downloading and installing the program from the official site launch it and press the “Add Files” button and select the 3GP format video files from your system hard drive and click on “Open” button. Now you have to select the target format as AVI. To select the target format click to the drop down icon of convert all files to and select AVI from the list of preset formats. After choosing the right target format click the “Convert All” option. Now the video converter will initiate the file conversion. It will finish the conversion automatically meanwhile if you want to convert other files then you can add them together because it can convert more than one file together. • In the KeepVid Video Converter there are multiple resolutions available for the AVI format. Always go for HD resolution so you can get the high quality output. • You can download and convert videos with this converter directly. • Editing option of the program can help you to add special effects to your videos. • You can also convert AVI to 3GP with the helpful converters in easy steps. Apart from using a video converter software there are many video converter websites also available over internet and KeepVid Online Video Converter is one of the best sites to convert videos. KeepVid Online Video Converter website enables you to convert videos in 60 formats and the great part is that it totally works online in your browser so there is no need to install any software on your system. 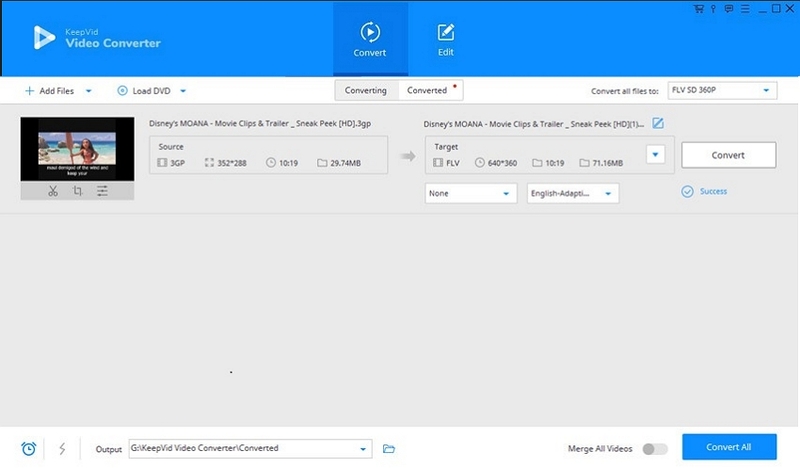 This is another 3GP to AVI converter online website for the online video conversion. This website is free to use and also supports online websites video conversion such as YouTube, dailymotion etc. This 3GP to AVI converter online website is good to use but the issue is that the conversion speed of this website is very slow. If you are a chrome browser user then you can get the extension of this website as well which can be installed in your browser and convert the videos directly. Any Video Converter is a free and easy to use windows program to convert 3GP to AVI and converting videos from one format to another format. This free video converter program supports more than 50 formats for free conversion. This program is available for free of cost to download and use. It supports nearly all formats for input but for output there is only 50 formats supported. Any video converter supports wide range of input and output formats to convert videos. You can choose the output format from the list of devices in the program interface. There is a built in editor available which allows you to add special effect to the videos. Freemake Video Converter is also a freeware video converter program which supports variety of input formats and little major output formats. This converter program is only available for windows users to convert the video files. With the conversion it can also download, burn and edit your videos. It supports nearly 200 input formats. Trim videos, add subtitles or burn the videos to the DVD or CD. Download videos from major video sites. You can make a DVD menu with the available option while burning videos to the DVD.